As Bitcoin is seemingly teetering on the edge of an abyss, analysts have sought to discern how BTC is advancing from a technical analysis standpoint. Per a report from MarketWatch, which cited a research note from Fundstrat Global Advisors’ Robert Sluymer, the New York market outfit’s in-house chartist, BTC is currently at a key level. Sluymer, citing the Relative Strength Index (RSI) measure explained that, the cryptocurrency is currently nearly “historically oversold levels” from the one-week chart standpoint, and is in the midst of testing key support levels in the low 3,000s. He then drew attention to the $3,100 level, noting that the 200-week moving average is nearing that point, and could prove to be an essential level to watch in the coming weeks. In his eyes, if BTC breaks under its Q4 lows at ~$3,150, a move to $2,270 wouldn’t be unlikely, as that would indicate that the market hasn’t found a long-term floor just yet. Yet, it wasn’t all doom and gloom from Fundstrat’s end, as Sluymer explained that the current weekly RSI levels were last seen in early-2015, potentially hinting at a short-term rebound at the bare minimum. A move above $4,200 in his eyes, along with an eventual eclipsing of the $7,500 to $8,500, would indicate that BTC is home free, and likely finally out of this brutal, bone-crushing bear winter. Interestingly, Sluymer’s recent mentioning of the $4,200 price point comes after Murad Mahmudov, a supposed analyst at Goldman Sachs and leading cryptocurrency commentator, issued his own set of analysis that touched on the level. As reported by Ethereum World News on a previous date, Princeton University alumni Mahmudov claimed that If BTC doesn’t break through the 15-week MA at $4,200, long-term downtrend at $5,500, and the 50-week MA at $6,800, not only will Wall Street be hesitant to foray into this budding space, but the asset will move slightly higher before entering the hell phase. Bitcoin hell, which may see BTC trade mostly flat between a long-term floor of $1,700 and $3,100, was depicted as a zone of accumulation for Mahmudov, who adamantly believes that the cryptosphere will swell exponentially in the decade to come. After commenting on the flagship crypto, Sluymer went on to touch on the broader digital asset space, which interestingly seems to be faring worse than Bitcoin, the ‘godfather’. 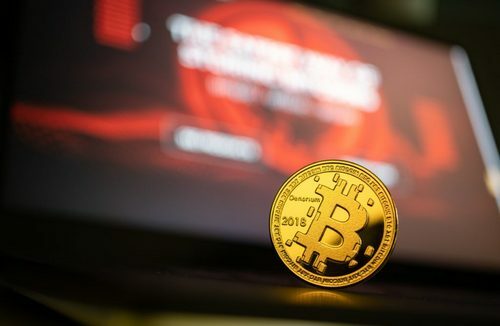 According to Bloomberg, which covered the Fundstrat analyst’s comments regarding lesser-known cryptocurrencies, Sluymer believes altcoins are currently on the edge of the disaster.